Despite our best efforts, most of the time, we act without thinking. We make poor decisions. But this isn’t our fault! It’s just how our brains are programmed. Now, you don’t have to be a scientist to understand how to use your brain’s instincts to your advantage instead of your downfall. Build a Better Brain has one goal: to help you improve your life by understanding how your brain works and learning to taking advantage of it. Put simply, your brain still thinks it is 10,000 BC, and this has the potential to sabotage you on a daily basis. 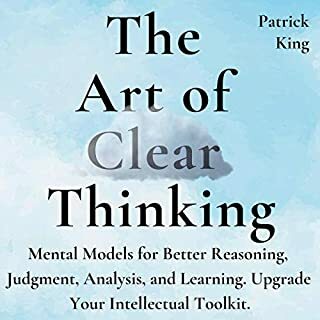 This audiobook is a deep look into the roots of conscious and unconscious behavior. It’s your introduction to neurosciencem, written for non-scientists and packed with advice. 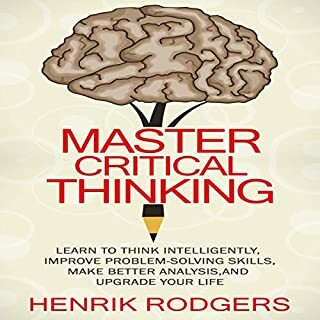 At the end of the day, this audiobook is a guide for how to rewire your brain for optimal performance and happiness. 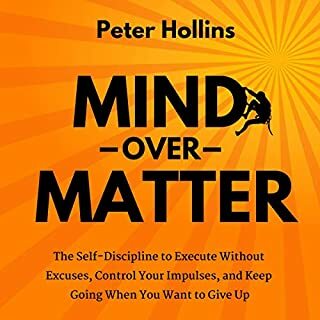 Peter Hollins has studied psychology and peak human performance for over a dozen years and is a best-selling author. He has worked with dozens of individuals to unlock their potential and path toward success. His writing draws on his academic, coaching, and research experience. Oddly enough, neuroscience was his favorite class in school, and he has found how to apply that same information to real-life situations. This is the manual we all should be given early on in life but instead have to learn things the hard way. The book does an excellent job explaining how the brain works and giving a great visualization of how the different parts of the brain interact with one another. 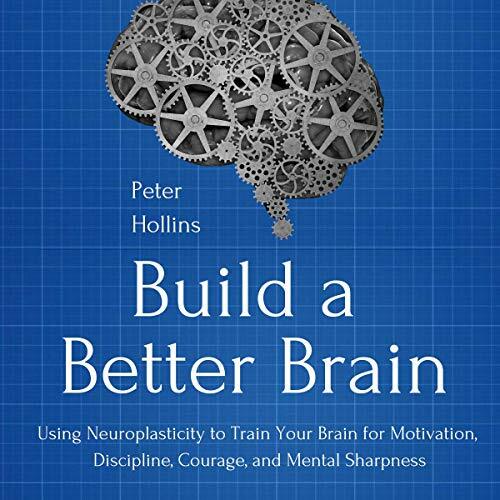 From there the author explains methods you can put into action to change your brain to become the person you want to be. Do you want to overcome fear and anxiety, that's covered. Do you want to get off drugs, that's covered. Do you want to lose weight, that's covered too. Basically, this book is a guide on how to improve every aspect of your life from the origin. The narrator does an amazing job as well. I highly recommend this book to anyone looking to make a positive change in their life! Good read. Very informative. Great place to start concerning knowing thyself and healing thyself, because the brain is where it all starts and ends. 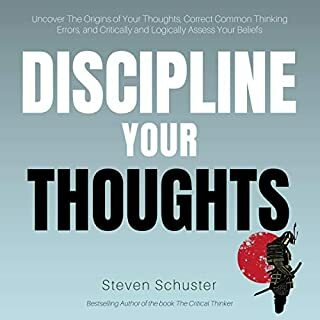 Really neat little audiobook, I learned a lot! I think this has actually help me understand how to overcome my anxiety I recommend anyone pick this book up. Good listen. Got so much more than I was looking for!! Build a Better Brain is an amazingly well written and interesting book. 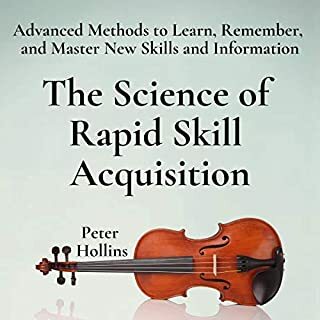 I have been trying to find books to help improve my mental game, and with Peter Hollins work I have found so much more! Not only are the concepts beautiful and simplistically explained, but they are immediately helpful. I tried the sea of visualizing situations I was about to go into, and they greatly helped me today in a socially challenging environment. The voiceover is clean and enjoyable, and the brains design and function is explained to a very deep but understandable level. This is both a science and motivational book and is full of meaningful and useful information. A very good read that combines enough science to understand how the brain works and structured in a way to make it accessible to most. The work was balanced so that it both taught about the workings of the brain and its anatomy with ways to change how it works. The book debunks many popular myths and gives the readers proven ways to effect change. I would have liked more references to different studies. I listened to the audio book and the narrator was very good, the perfect diction and speed for technical and informative listening. I was able to listen at 1.5 times and still understand and follow along with no issues. Great read! I loved learning about how our brains function and do the things it thinks we need. Reprogramming our brains requires first knowing how it functions and why it does the things it does. I will be having fun over the next few weeks and months reprogramming my brain and seeing if at 58 this old dog caen learn some new tricks. If you like Hollins style, find it motivating and it helps you make positive changes, go for it. If you want to learn about neuroscience, there are better sources. As someone who has studied aspects of neuroscience for 20+ years, while in broad strokes Hollins book is reasonable, the details and nuances are not always accurate. Don’t read this if your goal is the most up-to-date and precise version of how the brain works. Really disappointed. Very little that can be put into practice. Use it or lose it and the harder you think the more your brain will grow is the constant repeatable message...I sort of know that already. I got very little out of this book and struggle to understand the higher reviews.